WalterHolidays offers you the convenience and privacy of a house combined with the amenities of a hotel. 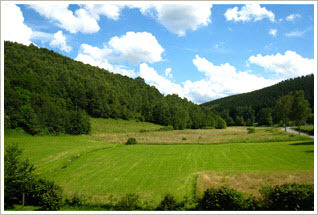 Surrounded by natural meadows, and a private stream. All rooms have a view beautiful view on nature. This relaxed environment provides, in combination with our high-quality equipment, the best conditions for successful seminars, meetings and all kinds of festivities. Ideal for all types of groups up to 34 people.